In a quiet fashion Motorola has released a developer edition of its latest and greatest DROID RAZR HD smartphone, sporting a bootloader which can be unlocked. The handset is destined for users with a knack for flashing custom ROMs, as well as those who don't like Verizon's take on Android. There is no release date set for the headset. A sign up page however is up and running for the overly anxious. 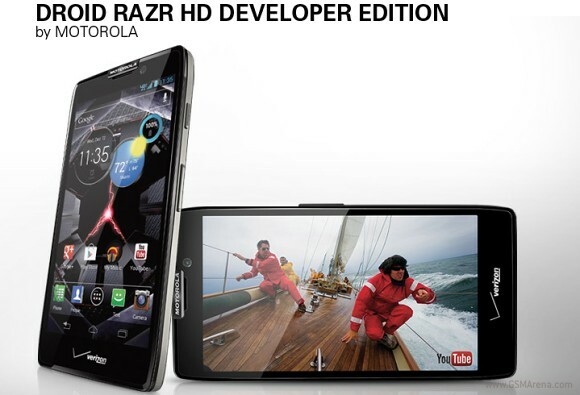 Expect a hefty price tag and lack of warranty when the Motorola DROID RAZR HD Developer Edition becomes available.